1) With over 25 YEARS of EXPERIENCE in operating boarding and lesson facilities, we know how to cater to you and your horse as we believe a clean barn is a HEALTHY barn! 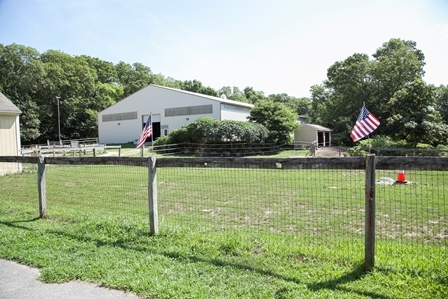 2) Our facility is set on 8 BEAUTIFUL ACRES in Rehoboth's countryside! 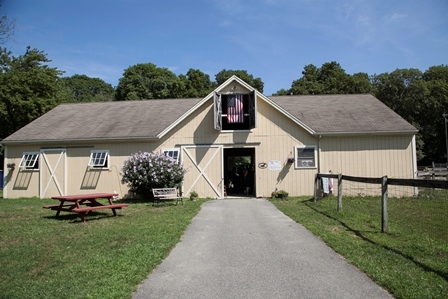 3) Our stable consists of 12X12 open front stalls which is always clean & organized, heated tack room, complete with both INDOOR & OUTDOOR arenas! 4) Horses have hay ALL DAY! 5) Stalls are CLEANED properly! 6) ALL feed & water buckets are kept CLEAN & free from BACTERIA! 7) Horses are turned out ALL DAY in our large roomy paddocks which are cleaned daily and kept free of worm infestations! 8) Horses are FLY SPRAYED during the pesky season! 9) Our staff has PROFICIENT HORSEMANSHIP SKILLS to take care great care of your horse! All staff members will treat your horse as if they are their own. 10) On-farm Year End Award - HORSE SHOW SERIES for All Levels & Disciplines! 11) Close to Johnson & Wales riding facility & many other SOUTHEASTERN COLLEGES! 12) To our discreet clients we offer a complete LESSON PACKAGE with the best "RATES" around!! Join our facility, we offer a worry-free enviroment with "24/7 CARE" all within a place to call HOME! You will be SATISFIED, GUARANTEED! "LIMITED OPENINGS - Please contact us for availability"
Bring your horse or pony to us! Our farm and family are well-qualified and equipped to take care of your beloved family members! 1) Experienced & professional care for your horse or pony so you won't need to worry! 2) All day turn-out in individualized paddocks! 3) Grooming, Riding and Other services offered to keep them healthy, clean & fit! 4) Other horse buddies nearby for company! 5) 24/7 watch - Farm owner lives on site! Rates start at $25 per day! Planning an event or need a place to ride? "Our Place Is Your Place!" 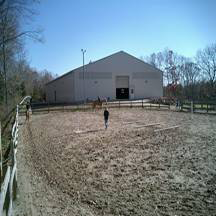 Outdoor & Indoor Arena Rental available to Groups & Organizations ~ CONTACT US TODAY! Nice turn key opportunity. Endless possibilities for the right candidate!